Material handling expert Interroll appointed Hilton Campbell as its new Managing Director for Interroll Ltd (UK) and Kerr Walker as Managing Director for Interroll South Africa. As a founding partner of its operations in South Africa and previously serving as Managing Director of Interroll Ltd South Africa, Campbell assumed his new post on March 4th. Kerr Walker, who joined Interroll on March 1st, succeeds Campbell as Managing Director of Interroll South Africa. 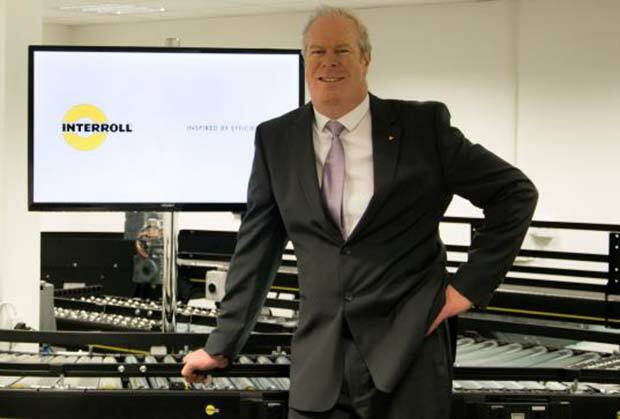 Hilton Campbell, new Managing Director of Interroll Ltd. In the UK. Campbell was involved with Interroll when the company first established operations in South Africa in 1998. A University of Johannesburg industrial engineering graduate, he held several positions at the company through to 2006, while also completing a management development program at the University of South Africa (UNISA). In 2007, Campbell was appointed as Interroll South Africa’s Sales Director and, five years later, as its Managing Director. Campbell has a proven track record of delivering successful account acquisitions, matched by comprehensive contract/project management, and an impressive ability in profit and loss management. He is a regular guest speaker at highprofile supply chain and distribution events around the world. Simultaneously, Kerr Walker, previously Sales Director for Technilamp, took over the position of Managing Director at Interroll South Africa. His career includes roles with firms in Advanced Polymers and Machining and Tooling amongst others.